Fall flowers are quickly becoming my favorites. I see it as the last hurrah before the frigid season is upon us. Years ago I would forgo fall plants in my containers due to complete laziness. Now I look forward to mums, asters, and ornamental cabbage replacing my exhausted summer annuals. 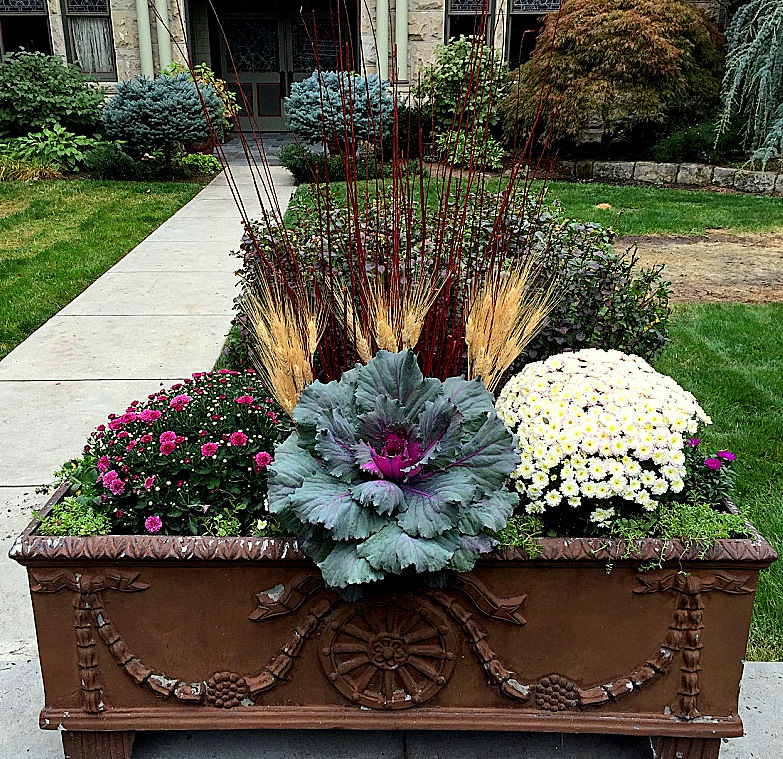 These beauties transform my containers with the flowers and colors that really signify fall. One of my favorite parts of this job is finding the fall foliage and berries in nature and incorporating it in the fall scheme. When they dry they display the warm colors we love to see this time of year. When you decide it’s time, you can leave the plants that continue to provide texture and color, such as heuchera, ornamental grasses and creeping jenny. You just need to add the fall gems to liven things up. Another added bonus to fall planting is the most basic gardener won’t be overwhelmed with the number of choices. The decision-making will be in the color and the combinations that contribute to the surroundings and show your personality. I hope these photos inspire you…. Spring is almost officially here, but in Boise these past few weeks of warm weather has made it feel like a very early spring and I could not be more excited. I have a few clients who I will be designing and installing for over the next couple of days and will post the results here when they are complete. 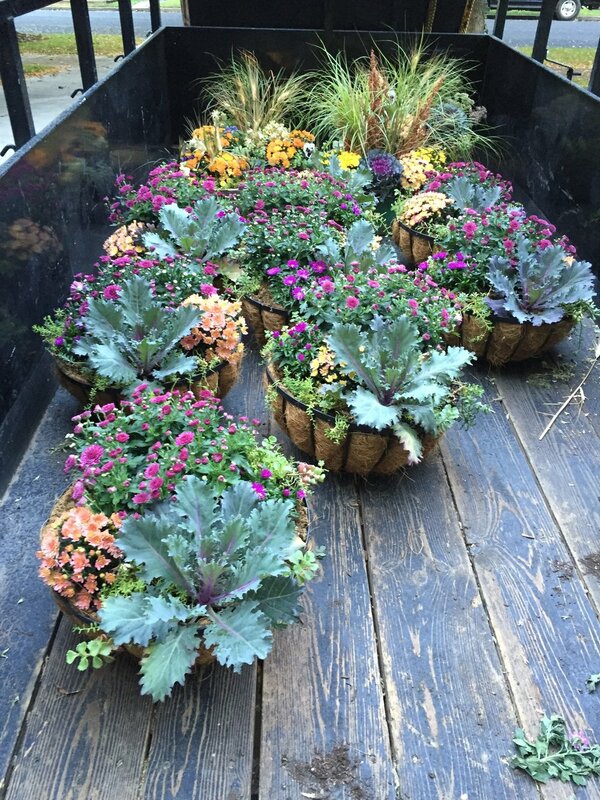 While the growers are not quite in full swing yet I was able to get my hands on some beautiful pansies, ranunculus, cordyline, violas and heuchera and cannot wait to get my hands into the dirt. All of these plants should do well in the variable spring weather we have here in Boise, but if a hard frost is coming remember to cover them up with a light blanket. If you get your plants from a nursery where they have been in a greenhouse it is a good idea to put them in your garage for a day or two to let them acclimatize. Always remember to put fresh soil into your containers each time you change out the plants. You don't need to replace all of the soil, but you should make sure to get some good raised bed potting soil and mix in a fair amount to ensure there are enough nutrients in the container. Finally make sure your containers are well drained and have the right amount of water. Plants are thirsty when they first get transplanted, so watch the soil moisture level closely. Have fun and get dirty - spring is here! As always if you are interested in a free consultation on your containers, please contact me. I am so excited to announce the next evolution of Solscape. Over the past couple of years I have been exploring how I wanted to apply the years of study and practical work I have been doing in gardening and horticulture. Last year I ventured into full scale landscape design and maintenance and while I love the work, I knew there was something missing. I spent the better part of the winter working through some ideas for the direction of Solscape and have landed on year round living containers. Since I began gardening I have always enjoyed the ritual of designing, planting and maintaining my containers more than any other aspect of gardening. While traveling around the world I saw so many unique and wonderful applications of container gardening and they inspired me to dig deeper into the area to see if people are offering this as a complete service anywhere in the US. My search led me to a couple of inspiring businesses in Chicago and Detroit. Their work is amazing and it has inspired the next evolution of Solscape. While I will continue to offer some full scale landscape design services, most of my work will be focused on offering four season container design, installation and maintenance service. You can find out more about the service here. I am so excited about this latest development and am looking forward to being able to provide a wonderful and much needed service to the Boise community. To announce and market the service I worked with a local designer to create a mini-container, which I will be hand delivering to about 100 houses over the next couple weeks. If you would like a free consultation for your property please feel free to contact me.